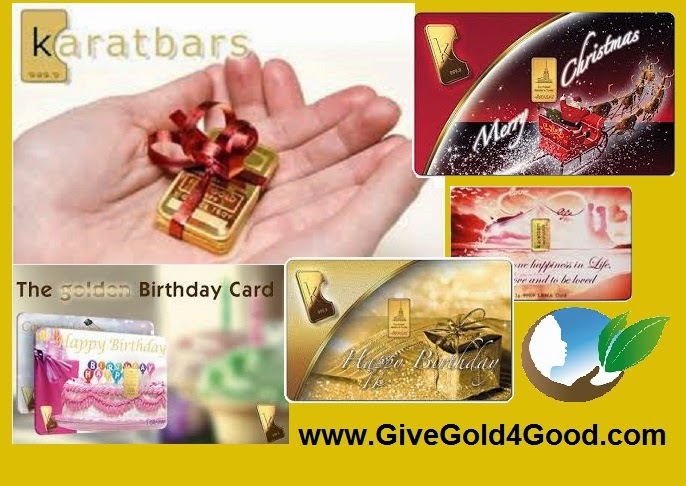 KARATBARS, THE PERFECT COMPANY AND PERSONAL GIFT! Imagine giving the perfect Holiday or Special Occasion Gift to everyone you care about… your Corporate gift list, your professional colleagues, your friends AND your family! Imagine finding an elegant and gracious gift that shows each of them how much you value them with the gift that has eternal value, solid Gold itself. And imagine real Gold, beautifully presented at a stunningly affordable price! What a memorable - and different - way to express their value to you. Real Gold says it all to those whom you treasure. Giving your children or relatives Real Gold helps build for their future. In the business context, of course, giving solid Gold has special meaning – it is gift that every colleague and associate would understand instantly and be proud to receive. Karatbars are assayed and certified to be 1 gram of pure gold beautifully presented so they are easy to keep in perfect condition. 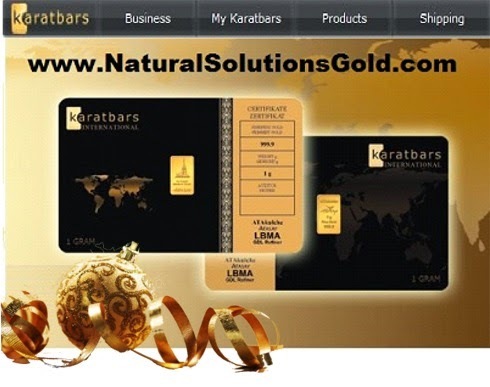 Surprising, different and valuable, Karatbars, in 1, 2.5 and 5 gram sizes are the perfect company and personal gift! 3. Support Natural Solutions Foundation without spending a penny from your own pocket! FDA GOT YOUR TONGUE? WE CAN FIX THAT! An Open Letter to My Vitamin Consultancy Clients and the Natural Products Industry. Imagine being able to tell the world the powerful truth about your dietary supplement products! Imagine your product label NOT carrying the false and misleading FDA disclaimer! And imagine not facing a warning letter or other hostile action as you share the benefits of your products with a receptive public! You and I both know you have important truths to share about your dietary supplement and other natural products while hostile FDA regulation and DSHEA language prevents you from exercising your First Amendment rights. One of my enduring frustrations over the years is being required to tell you, "You can't say that... and it doesn’t matter that it's true!" And I've had to tell you the Dietary Supplement Health and Education Act of 1994 (DSHEA) forces you to put a damaging and likely untrue "opinion statement" on each bottle: "Not Intended to Cure..." which neither you nor I believe. You know my stand on health freedom (I am Counsel and Trustee to the Natural Solutions Foundation, after all) and you know that I've been absolutely itching to get the FDA into Federal Court on just this issue. Over the past decade, since Natural Solutions Foundation was established by General Bert and Dr. Rima, we've gone to court against the Feds several times. While those cases helped pressure the authorities (the 2009 Swine Flu Vax case was successful, for example) the Courts have repeatedly said that, since the Feds were not attacking the Foundation directly, we had "no standing to sue". Well, finally, that's no longer the case, since we received a Warning Letter from FDA/FTC in September telling us to shut up about CBD hemp oil and Nano Silver 10 PPM. And that is a great opportunity for us all! Simply put, Congress may have power to compel truthful factual speech, but it does NOT have power to compel us, to express an opinion we may or may not hold. As one wise, retired Judge wrote to me on this issue, "Thesine qua non of compelled speech is truth." We've assembled a team of powerful legal talent, including Larry Becraft, Esq (the "Dean of the Patriot Lawyers") and Jim Turner, Esq. of the DC firm of Swankin and Turner, truly the nation's most prestigious DSHEA law firm. They agree with the Judge: Congress cannot compel us to lie about Health and Food. The DSHEA food speech restrictions are now "in play" and, assuming the Supreme Court follows its own precedents, including cases like Johnson v FDA (1911) and Thompson v Western States (2002), the DSHEA speech control rules are likely to be overturned, and with that, the entire FDA/FTC control apparatus. YOU are about to be freed! I will keep you posted as this situation unfolds. This is, in fact, the case I have been waiting for my entire career. Together we will trash the gag rule that has hindered and harmed us for so long. But to do this, we need your financial support.Freedom isn't free. It requires your commitment and your funds. Your company can legally expend its funds supporting litigation that will support your bottom line. It's Time for Natural Health to Take Back the "C" Word - Nature Cures. "These statements have not been evaluated by the Food and Drug Administration. This product is not intended to diagnose, treat, cure or prevent any disease." In recent days, with the "Ebola Outbreak" breaking out into an "epidemic" and perhaps soon, a "pandemic" the words "treat, cure or prevent..." have been bandied about in the blogisphere and on the mass media. People are rightfully concerned about this increasingly virulent disease. We at Natural Solutions Foundation have been accused in some quarters of verging on promoting "bogus cures" for the hemorrhagic viral diseases due to Dr. Rima's forthright championing of the virtues of Nano Silver to those who would voluntarily follow her advice. Even that most establishment of all media, the NY Times, castigated Dr. Rima and has refused to retract factually erroneous statements. So what if we claim that "Natural means can cure disease."? Why should that statement not have the same speech protection that any other expressive association statement that Dr. Rima might make? Such as, "Vaccines contain dangerous toxins and can trigger autism or infertility." Why is the first statement about a "bogus cure" while the second is just an opinion? Is it because in the first, Dr. Rima has the means to effect change, namely, the very Nano Silver that was tested through the Defense Threat Research Agency in vitro against Ebola. Does Dr. Rima's name and recommendation on The Silver Solution label render her subject to prior censorship by the FDA under authority from Congress? In the second example above, there is no Dr. Rima Recommends product. Does that make any difference? I don't read the First Amendment to make any exceptions for the injunction that "Congress shall make no law..."
What authority does Congress have to mandate certain speech about voluntarily chosen health choices? Does that authority change when Congress is concerned about a "dangerous" (at least when inhaled) substance such as tobacco? Or a supposedly "harmful" substance such as THC hemp? Foods are generally deemed safe when used as directed. Although the courts have tried to parse a convoluted line between "permitted" speech and something else ("un-permitted speech"? "commercial speech"? "obscene speech"?...) they have never found any qualifying language in the First Amendment that might make "no law" mean something else. Thus in my humble opinion, Congress has no authority to mandate or censor speech. Or as a retired jurist of my acquaintance put it: "The sine qua non of compelled speech is truth..." Congress may have power to compel speech, but it must be true factual speech. Congress has no constitutional authority to compel me to express an opinion I do not have, such as for what use I may "intend" a particular nutrient. "If the First Amendment means anything, it means that regulating speech must be a last - not first - resort." "We have previously rejected the notion that the Government has an interest in preventing the dissemination of truthful commercial information in order to prevent members of the public from making bad decisions with the information." "Even if the Government did argue that it had an interest in preventing misleading advertisements, this interest could be satisfied by the far less restrictive alternative of requiring each compounded drug to be labeled with a warning that the drug had not undergone FDA testing and that its risks were unknown." In 1995 I handled the DHEA cases , when two Life Extension Foundation members were accused of importing a supposed "controlled substance" when they bought DHEA from Europe. In the case that completed the litigation over the issue the Judge issued an order that DHEA, which is indigenous to the human body, was not a controlled substance. Thus we can conclude that nutrients like silver or cannabidiol, which occur naturally in the body, are not subject to police power restrictions. If an educated professional like Dr. Rima chooses to assert that Nano Silver "cures" Ebola, it is not within the power of Congress to forbid her speech. It just so happens that we've been careful to avoid medical-legal "terms of art" (like "treat" and "cure") that might cause discontent among the public health authorities. But even our careful use of language, by referring not to "treating" but rather to "therapies"  that may benefit seems to be interpreted by some as offering "bogus cures." Maybe, therefore, it is time to reassert the right of every individual to speak their own truth about health. It's time to "take back" the word "cure." Pharmaceutical drugs do not "cure." They poison enzyme systems to suppress disease symptoms. Natural means, to the contrary, support the body's native ability to defend against invasion. If a person is in good health and has proper nourishment and rest, absent toxins, stress and other deleterious circumstances, we generally can overcome health challenges. The time has more than come... with what General Bert Stubblebine has called the "perfect storm"  of toxic assaults on our health, of which the emerging viral diseases may be a result, our lives and the future of our species on this world depend on it. Ref: August 16, 2014, on page A6 of the New York edition with the headline: Agencies Issue Warnings Over Bogus Ebola Cures. I am a Trustee of the Natural Solutions Foundation along with its founders, Rima E. Laibow, MD and Maj. Gen. Albert Stubblebine III (US Army Ret.). We are responding to your August 16, 2014 article, “Agencies Issue Warnings Over Bogus Ebola Cures” (page A6) which mentions our Foundation and provides several incorrect data points and implications. It is not true that we provided Nigeria with Nano Silver. This erroneous statement in the New York Times should be publicly retracted. In fact, we have made the point, in writing, several times, that we know nothing about this doctor, his supposed silver, its research base (if any), its composition, concentration, purity or particle size, all of which are critical to the action of a nutrient nano-solution like Nano Silver. We have also made the point in writing, video and podcasts numerous times that we are in close contact with the manufacturer of the same Nano Silver 10 PPM which was tested in vitro against the Ebola virus and found to be highly effective in inactivating Ebola virus in the research declassified by the Defense Threat Reduction Agency of the US Department of Defense in 2009. That company confirms that no one secured enough Nano Silver from them to match the shipment allegedly brought to Nigeria, so that there was no likely possibility that it could be the same Nano Silver 10 PPM of which we had spoken and written. Your article further states that Dr. Rima was unavailable for comment and that questions emailed to her were not answered. She has no record of any correspondence from the New York Times or anyone writing on their behalf so that your assertion that she did not respond to your questions is correct since she never received them, nor did she receive any phone calls. Her 3 VOIP phone numbers, 3 cell phone numbers and one land line numbers uniformly show no record of any attempted or missed calls from North America. Thus, she was not able to respond to your calls for the same reason: she did not receive them. Dr. Rima has made herself available for dozens of interviews over the past few days. Natural Solutions Foundation was established in 2004 with a specific Mission: To Discover, Develop, Demonstrate, Document and Disseminate natural solutions to pressing social issues. 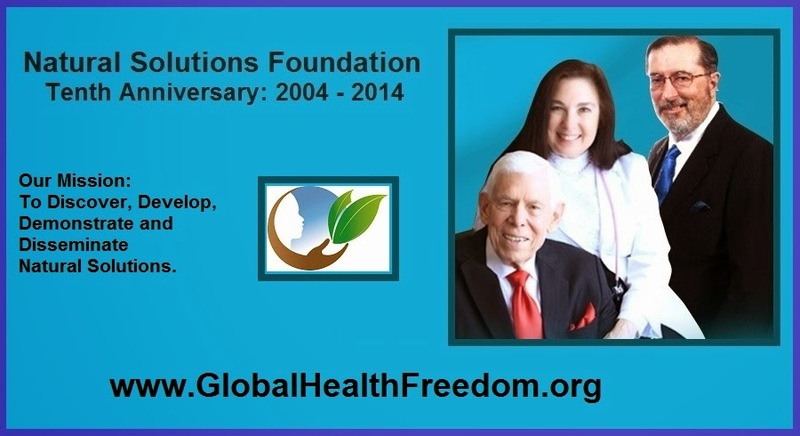 Since that time we have grown to become the premiere global health freedom association, www.GlobalHealthFreedom.org. Rima E. Laibow, MD, our Medical Director, is a world-renowned physician practicing environmental and natural medicine and psychiatry. She has practiced drug-free medicine for over 44 years, primarily in New York State where she has been licensed from 1971. She holds inactive licenses in two other States. In 2007 she addressed a meeting of 47 African Ministers of Health in Mombasa, Kenya at the invitation of the President of the organization of Ministers of Health. In her address, she warned the Ministers and their staff members about emerging viral diseases and urging adoption of natural means to respond to such diseases, citing such measures Intravenous Vitamin C and nutrient Nano Silver 10 PPM as primary natural remedies. The President of the Foundation, known as “General Bert”, was the Commanding General of US Army Intelligence and Security Command when he retired from the Army. He has, since his retirement from the Army, become the chief strategist for global health freedom efforts. 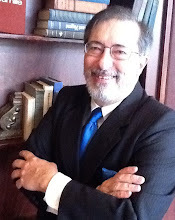 I practiced law for 36 years in the NY metro area, specializing in dietary supplement regulatory issues. While the FDA and CDC are technically correct that “there is no approved treatment for Ebola…” that often repeated mantra is deceptive and misleading. FDA has legal authority which includes approval or denial of approval ONLY for pharmaceutical drugs that are presented by the industry. It is critically important to this issue to understand that, under the Dietary Supplements Health and Education Act of 1994 (DSHEA) this agency HAS NO AUTHORITY TO EITHER APPROVE OR DISAPPROVE DSHEA-grandfathered nutrient substances such as Nano Silver when they are offered to support the normal structure and function of the body. We have always been careful in that regard; when Dr. Rima Recommends Nano Silver, or any other natural solution, the recommendation is solely as a nutrient therapy that may benefit, as permitted under FDA guidelines and regulations. In 2009 the United States Government declassified the DTRA (Defense Threat Research Agency) Nano Silver Ebola Study. The study was cleared for release via authorization 88ABW-2009-4491 and funded by DTRA through proposal #4.10036_07_AHB_B and JSTO/DTRA-NRC. The study was verified through the Public Relations office of DTRA under an informal Freedom of Information request recently filed by the Natural Solutions Foundation. That study, conducted in vitro with active hemorrhagic viruses including Ebola, definitively showed that Nano Silver 10 PPM inhibits viral reproduction by supporting normal cell membrane structure and function, thereby stopping the virus before it can adhere to the cell, penetrate it or reproduce. There is nothing speculative about this research: the results are quite definitive. This is not a Drug Effect (prescription drugs work by poisoning enzyme systems to suppress symptoms). Nano Silver does not act like a drug; rather it is a nutrient that nourishes normal response to viral invaders. The biological immune support functions of this nutrient are well-known and characterized by a massive scientific literature. Nano Silver has been approved by the EPA as a not-toxic surface sanitizer for hospital, food service and other industrial environments, and as such, can have a vital role in stopping Ebola. But Nano Silver is also a nutrient and may be used for immune system support, and as such, will save lives and may contain the disease. Now, during this humanitarian crisis, WHO tells us it is ethical to try “unapproved interventions.” Humanitarian considerations must trump the niceties of regulatory law. Our Foundation, exercising our inalienable expressive association rights, has donated a small supply of Nano Silver 10 PPM and silver gel to one of the “Ebola front line states” , and made a larger quantity available to another one of the front line states at the request of the their government. Those states do not include Nigeria although Dr. Rima has made serious efforts to get the correct Nano Silver 10 PPM to the government of that country, without success. 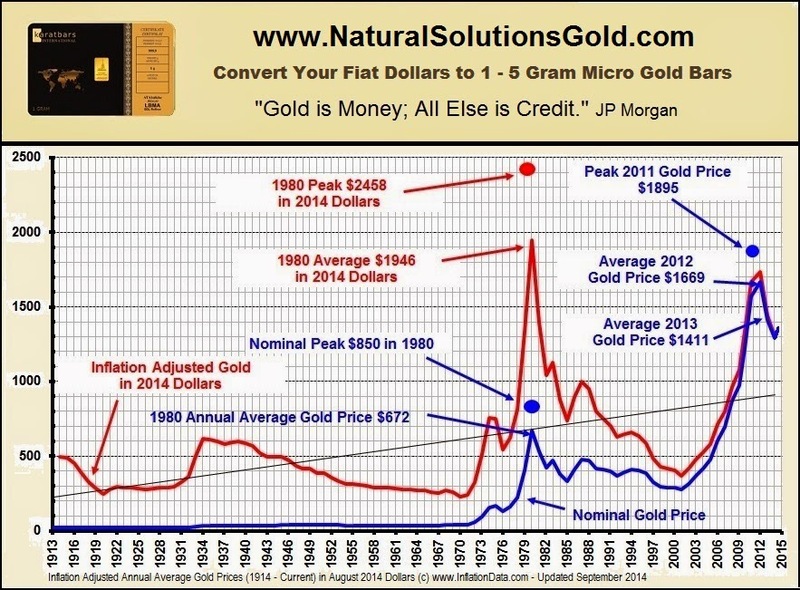 That Nano Silver 10 PPM which has been provided is identical to that used in the above referenced study. It is being provided in cooperation with people from those countries both in their home nations and in the United States, as well as with the public health authorities there, for the purpose of an emergency clinical test of Nano Silver in vivo. It is our expectation that Nano Silver can be an important tool in containing the Ebola Outbreak which is now breaking-out, threatening a world-wide pandemic. Mapp Biopharmaceuticals has received at least $140 million dollars for the development of its experimental, untested, unproven drug. A Canadian vaccine maker is being paid handsomely for its experimental, untested and unproven vaccine. Neither has an established scientific and clinical record of safety while inexpensive, safe, non-toxic Nano Silver 10 PPM is under what can only be called vicious attack. At the same time that the New York Times incorrectly and inaccurately castigates both Nano Silver and the Natural Solutions Foundation, it suggests the use of Statin drugs against Ebola, as wild, wooly and bizarre a speculation as any snake oil salesman ever concocted. The double standard is shocking and disappointing since the New York Times holds itself to a higher standard than supermarket checkout tabloids, or maintains that it does. It is time for the conflict of interest-ridden FDA and CDC, whose track records in objective public safety are shamefully lacking, to finally stop misinforming the public about the potential therapeutic benefits of Nano Silver 10 PPM and stop actively obstructing the natural solutions to this humanitarian emergency. Legal Question Presented: What is the current legal status of recommending Nano Silver as an intervention during the current Ebola Outbreak? Legal Principles: International and national law set out regulations regarding the standard practice of medicine. In most countries, physicians are restricted by their licenses to the practice of standard medicine. Physicians can rely on the standards of practice in ordinary circumstances. Similarly, regulations have been developed regarding medical experimentation on individuals. However, during a humanitarian emergency, other concerns become more pressing. Ethical criteria must guide the provision of such interventions. These include transparency about all aspects of care, informed consent, freedom of choice, confidentiality, respect for the person, preservation of dignity and involvement of the community. Analysis: Nano Silver provides a therapy that may benefit and should be readily available without restriction. Natural Solutions Foundation supports the international standards enunciated by the World Medical Association in its Helsinki Declaration. ** The basic principles involve informed consent and doing no intentional harm. US Federal law has similar restrictions on human experimentation. It is the duty of physicians who are involved in medical research to protect the life, health, dignity, integrity, right to self-determination, privacy, and confidentiality of personal information of research subjects. The purpose of this Memorandum is to assure the cooperating physicians and the public health authorities of West Africa that, in addition to the United States FDA approval of Nano Silver as a surface disinfectant, the provision of food-grade Nano Silver for ingestion by the patients should be considered a humanitarian exception to any current restrictions, as allowed by the WHO pronouncement. The Protocol requires informed patient consent and consideration. The safety of Nano Silver, which is self-sterilizing and can be stored a ambient temperature, under the circumstances of an outbreak of hemorrhagic infection, is not in serious question. Thus the primary concerns expressed by WHO are met. It is therefore my professional opinion that the Foundation’s Nano Silver Ebola Initiative conforms to this non-governmental organization (NGO)’s Mission, as its expressive association, and that is is ethical for physicians to cooperate with the Clinical Test as provided in the Protocol. Word Games To Kill By! Nutrients Like Nano Silver 10PPM! UPDATE: DTRA PUBLIC RELATIONS OFFICER ACKNOWLEDGES STUDY! FDA/CDC persist in claiming that “there is no approved therapy for Ebola” leave the unwary/uninformed with the impression that these agencies actually have the authority and will to approve natural therapies and that none exist for this purpose. The truth is that both of these conclusions are inaccurate and misleading. Government bureaucracies are very good at obscuring information through carefully chosen language aimed at both misinforming and dis-informing. In the present circumstances of an out of control Ebola outbreak capable of riding on the wings of commercial and private planes to our own homes and loved ones, this dis/misinformation may well cost vast numbers of lives, throwing the world into a catastrophic near-extinction-level event, unless corrected. FDA and CDC’s use of language to hide well-researched, publicly available natural solutions to the serious health threat of Ebola is an excellent example of the obfuscation and distortion involved in “regulatory-speak,” Saying there is no “approved treatment” for the deadly disease is deceitful and dangerous. Ebola, without Nano Silver 10 PPM has a mortality rate of 90%. Labeling Ebola as disease-without-treatment leads people to engage in dangerous behavior that can trigger a pandemic, such ignoring contagion, kidnapping sick relatives from hospitals (as happened in Sierra Leone), hiding family victims or hiding symptoms while traveling. Truly, as General Bert, President of the Natural Solutions Foundation, has warned, "The world is just a plane ride from catastrophe." It is, however, an unnecessary catastrophe, as the US agencies know full well. These same agencies, it should be noted, are responsible for the irresponsible decision to bring active Ebola cases to the US where, should containment protocols fail, Ebola will be released onto a vulnerable population. Despite the assertions of US Government agencies, international agencies like WHO and corporate-sponsored NGOs that there is "no treatment" there is, in actual fact, a very good nutritional therapy that supports normal immune system function, based on natural means to promote health, resting solidly on the US government's own Defense Threat Reduction Agency (DTRA)-sponsored Ebola / Nano Silver 10 PPM study, declassified in 2009. Nano Silver 10 PPM supports normal homeostasis by supporting cell membrane integrity. That's what the DTRA study shows; not that it "treats" Ebola (there were no sick people involved) but rather, that it supports cell membrane impermeability to the Ebola virus. It acts nutritionally before there is a disease to prevent or treat. No viral penetration; no viral replication; no disease. Rima E. Laibow, MD, Medical Director of the Natural Solutions Foundation, already familiar with Nano Silver 10 PPM from her clinical experience and research, has provided a simple Protocol that uses advanced nutrition (such as large servings of Vitamin C to control inflammation and bleeding) and Nano Silver to address the Ebola crisis. So, contrary to the assertions of agencies, there is a highly effective therapy. How, and why, do the agencies misuse language to misinform the public and professional communities about this urgent matter? As a legal specialist in regulatory matters, I know well that by using distorting regulation-speak, the supposedly authoritative agencies create a false distinction between "FDA approved Ebola treatment" and a lack of an FDA approved Ebola treatment. They do it by simply ignoring the regulatory and legal reality: FDA does not have authority to "approve" or disapprove Nano Silver because Nano Silver is a DSHEA grandfathered nutrient. The phrase "treatment for disease" is a legal "term of art" relating to an approved, standard medical treatment that is deemed to provide a "cure" (or suppression of symptoms) of a recognized disease. Under current US law, no one may claim that any substance is a "treatment" unless it has been approved as such by FDA. So it is technically true that there is no "treatment" despite the existence of 7 filed Ebola-related patents, 6 of which list US government agencies as patent-owners. Nano Silver 10 PPM offers a potentially beneficial therapy over which the FDA has no regulatory authority. FDA does not have authority to "approve" a nutritional substance that is grandfathered, as is nutrient silver, under the 1994 Dietary Supplement Health and Education Act (DSHEA). Nor may commercial providers of nutrient silver make "treatment of disease" claims for such substances. Nano Silver 10 PPM, as a dietary substance, is a nutrient, not a drug and is therefore a non-prescription therapy, not a treatment. The distinction is crucial. It is a traditional therapy, used in various forms for centuries. Nutrient silver does not do what a prescription drug usually does: poison enzymes to suppress clinical symptoms. Pathogens cannot develop resistance as the mode of action is nutritional and inhibitory. Since FDA cannot approve the therapy, and has not approved it as a drug “treatment” there is, in fact, an effective therapy which the FDA is powerless to ban and powerless to approve. Agency mis/dis representation means that we are thus faced with a deadly gap between the law and reality. As we move toward what the WHO has termed the “Antibiotic Resistant Apocalypse” will we be in the world health emergency for which the Global Health Security Initiative was supposedly created. 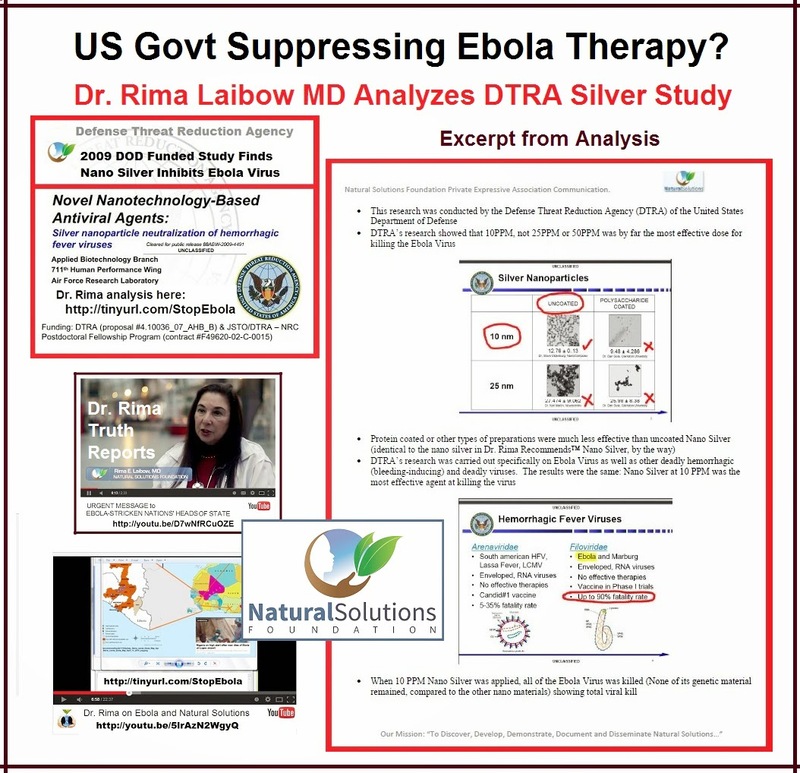 The DTRA study clearly shows that nano silver inactivates Ebola. In this crisis humanitarian concerns must trump bureaucratic niceties. The US government must come clean and admit that its own research clearly established that Nano Silver can help contain Ebola and can help reduce suffering and death. Anything less will condemn more victims and dishonor the intent of the First Amendment, that competing understandings of the truth may not be restricted by government. Health Freedom or Health Fascism?